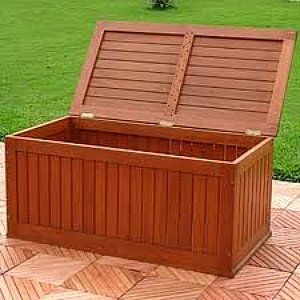 Why Do I Need A Deck Storage Box? Let's face it - there is never enough storage around your house. That's true outside as well as inside. There is always something on your deck or patio that needs to be put away, out of the weather or just out of the way. Don't you get tired of lugging those things inside and then having to find a place to keep them out of the way there? Or do you just leave them outside and let the sun and rain take their toll? Fear not, there is a reasonable solution. 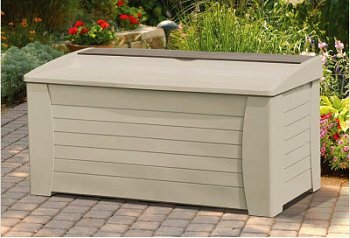 A deck storage box offers the perfect way to keep your outdoor items handy without having them exposed to the elements or in your way. Keep your outdoor area neater and reduce your workload at the same time. Sounds like a good plan to me! 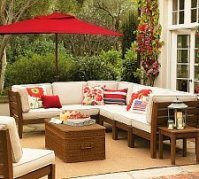 You may be surprised to discover how many variables there are when it comes to a storage box for your deck or patio. Initially there are the choices of size and construction materials. Size - You'll want a box that is large enough to accomodate your storage needs and will also fit into a suitable space on your deck. You don't want to overwhelm your space with a deck box that is too large, nor do you want to have a box that is too small to hold all of your stuff. Plan out the proper size for your needs and your space. For some reason, deck storage boxes are measured in gallons. That would be great if you want to store water, but it isn't very useful for anything else. You may know that a 150 gallon box is nearly five times as big as a 35 gallon box, but how big are either of them, really? How many gallons of storage space do you need for your chair cushions? Just get the measurements and take a look at your stuff to see if it will fit. Materials - Since this deck storage box will be outside, you'll want to pay attention to the materials used for construction. For more information check out my page about deck materials. The least expensive material is resin and it is also the most readily available. You'll be able to find resin deck storage boxes at most big box stores. 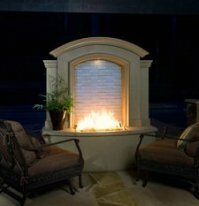 Resin is great for outdoor use. It is impervious to water and the sun doesn't affect it structurally, although it may cause some color fading over time. For a more custom look consider a wooden deck box made of teak or cedar. If you deck is made of one of these materials your deck box can match nicely. Be prepared to pay significantly more than you would for a resin box. Seating and More - Since your deck storage box is going to take up a fair amount of space on your deck, how about using it as additional seating space? To me, this is a no brainer. Many storage boxes are designed with this in mind, but not all. As long as the top is flat, just add some cushions and you have a new deck bench as well as more storage space. If you will need to move your box around, consider a wheeled model for easy portability. 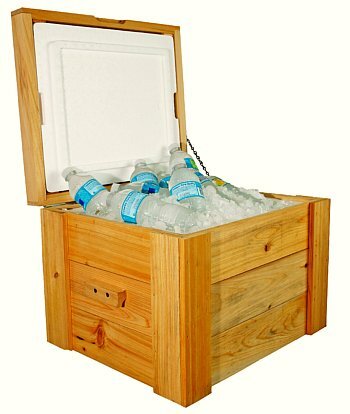 Some deck storage boxes even double as a cooler.The best such cooler is made by LoBoy. We offer those for sale in our online store. Could a new deck storage box be a do-it-yourself project? If you have reasonable carpentry skills, sure. There is really nothing all that complicated about them, just carefully plan out the hinged lid. Everythig else is just a framed box with whatever covering material you choose. 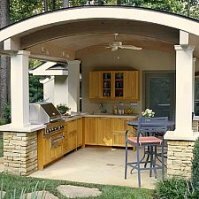 Plan out and build the perfect size for that special place on your deck or patio. A patio storage box can be a fantastic addition to your dock or pier if you happen to have one. They are great for storing fishing rods and tackle, life vests, or any of those things you are used to carrying back and forth from your house. How about some additional storage space for your pool or hot tub supplies? Don't get too committed to the "outdoors" part of this. These boxes are great for indoor use as well. They make great toy boxes or a place to keep linens, bedding - anything you need to store!